Hidden Valley #42: $249,000. This beautifully remodeled studio & loft, 2-bath condo in the Hidden Valley condos complex is just a 5-minute walk to the Village at Mammoth. Upgrades include: Quartz counters in kitchen, new cabinets, light fixtures, plumbing fixtures, refinished drywall, new flooring throughout and new furniture. This nice complex with a forest setting offers great amenities such as pool, two Jacuzzis and sauna. The unit is being sold furnished with a few minor exclusions. The fireplace will need to be brought to code (chimney flue retrofit). A great little unit, close to Village with a gorgeous remodel! Mammoth Ski & Racquet G64: $324,000. This corner 1 & loft, 2-bath condo with 1,007 square feet has been nicely upgraded. The top-floor location provides south-facing exposure and incredible views down the valley towards Crowley Lake, the Sherwins and Mammoth Mountain ski area. The unit also has a great location within the complex, which is adjacent to the swimming pool and main BBQ area. The Mammoth Ski & Racquet complex is very well-maintained and backs to the Mammoth Mountain ski back trail. This turn-key condo is being sold furnished with a few minor exclusions. The monthly HOA dues are $584. If garage parking is important, there is 1 assigned space and plenty of over flow parking throughout the complex for additional cars. If you are looking for a “cabin feel” in the mountains and want to be close to Canyon Lodge – this is it! Timber Ridge #35: $595,000. High above Canyon Lodge (close to the top of “Blue Jay” ski run), this corner 2-bedroom, 2.5-bath remodeled condo at Timber ridge features 1,273 SF of living space, private 2-car garage, and offers ski-in, ski-out access. Upgrades include: New plumbing, electrical, slab granite counters in kitchen and baths and more. The setting, along with the peace and quiet that this condo provides, is what most buyers “picture” when they are looking for a mountain retreat in Mammoth Lakes. The complex is extremely well-managed and well-maintained, and has great amenities such as swimming pool, Jacuzzi, sauna and large recreation room – great for throwing parties! The unit is being sold un-furnished. Monthly HOA dues are $613. This condo is a must-see. Stonegate #7: $995,000. This 2500 SF, 3 & loft, 4-bath free-standing town home with attached 2-car garage backs right to the Sierra Star golf course, and is just a short walk to the Village at Mammoth. Listed as a short sale, there is a potential here to get an amazing deal below the asking price. It has now been on the market for 43 days. What I have recently witnessed is that although short sales are taking forever to get approved (6 to 8 months on average from beginning to end), banks seem to be proactive about selling the property at a discount (below market value) – within reason. A few years ago, the bargains were potentially the bank-owned listings, but at present, short sales can be a much better deal vs. a foreclosure/bank-owned property. If you have the patience to hang in there and wait for short sale approval, this beautiful townhome can generate excellent rental income (in excess of $80K/year) and has high-end finishes throughout. It also features a great layout for families with two separate sitting areas – one for adults and one for kids. For questions regarding any Mammoth Lakes MLS listings or to schedule a showing appointment, please feel free to contact me directly. 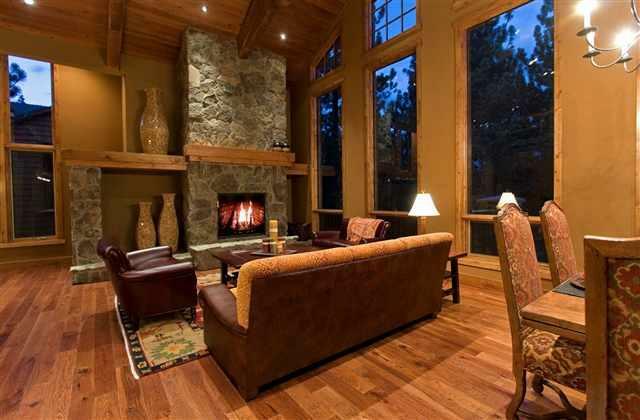 I look forward to helping you find your perfect Mammoth Lakes mountain retreat!